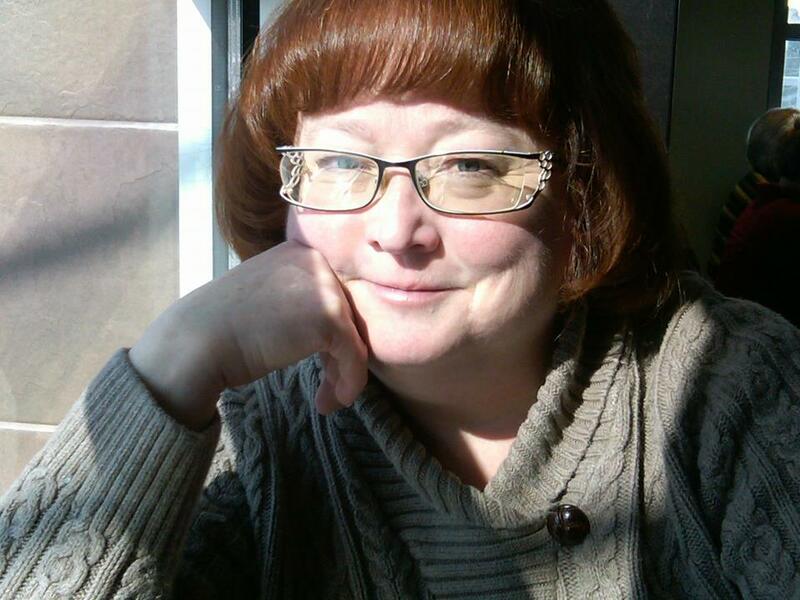 Dianne Borsenik is active in the northern Ohio poetry scene and regional reading circuit. 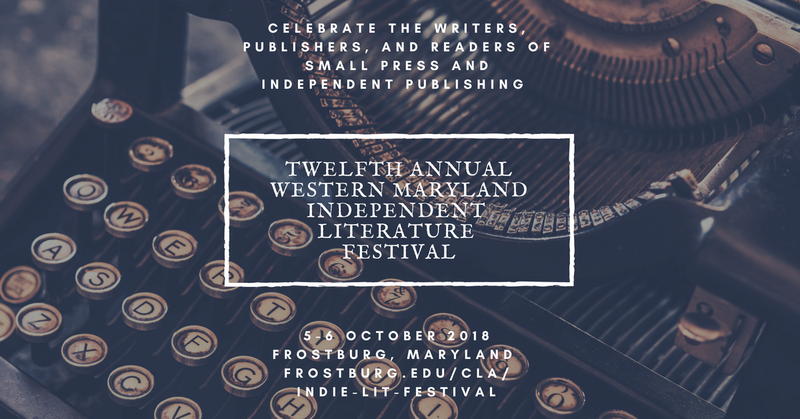 Tomorrow, Friday, October 5, 2018, I'll be setting out bright and early to attend the 12th Annual Western Maryland Independent Literature Festival in Frostburg, Maryland! 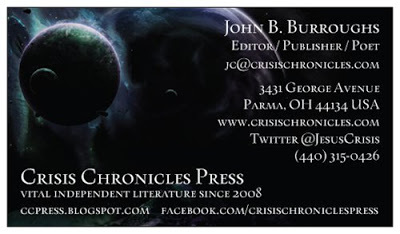 I'm riding with John Burroughs, who will be representing Crisis Chronicles Press. I'll be there as NightBallet Press with a table at the Book Fair, and NBP will be releasing a new book at the same time (for more information on the book, visit the NBP website after Monday, October 8, 2018. That's the day the publication will be posted.) 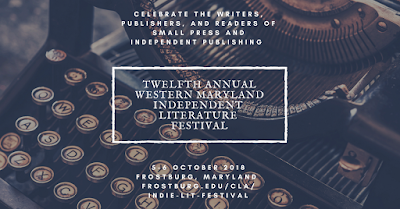 We'll be spending the entire weekend, and will be enjoying not only the Fest and the Book Fair, but the Saturday event Frostoberfest...which sounds like a lot of fun! James is going to be holding the fort while taking care of John's Leda...something he's really looking forward to! He has Big Plans for Sunday, as well, hitting both a model car show and Cinema Wasteland. This will be my third Frostburg Indie Fest, and the second one with John. We'll meet up with friends old and new, and who knows what adventures we'll have on this trip? I'm sure photos will post soon. It looks like the day will begin on a chilly note, but things heat up steadily over the course of the weekend, and Sunday promises to be a hot one. Oh, and you know what? 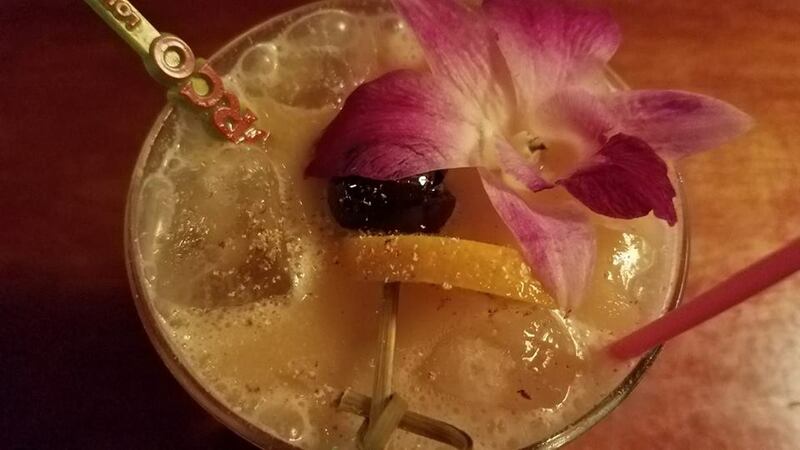 I don't have to go to work on Monday...I'm on vacation! Yeah, baby! 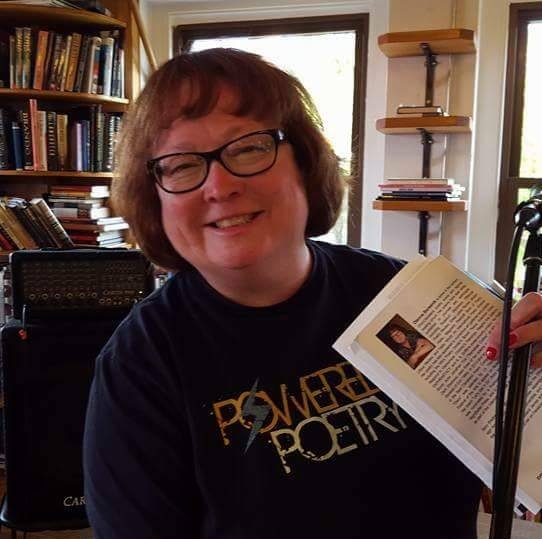 Dianne Borsenik is active in the northern Ohio, Cleveland-area, poetry scene and regional reading circuit, and travels to read her poetry throughout the Midwest. She is a member of the Ohio Poetry Association, Literary Cleveland,the Haiku Society of America, the Ohioana Library Association, and the Erie Art Museum. In 2011, she founded NightBallet Press (where she is M.F.W.I.C. ), and has since published over 100 titles for poets across the U.S. In September 2015, she produced BeatStreet Cleveland as part of the National Beat Poetry Festival. Her poetry has appeared in hundreds of journals, magazines, anthologies, and more, including Main Street Rag, Chiron Review, Pittsburgh Poetry Review, The Offbeat, Rosebud, Slipstream, Lilliput Review, bottle rockets, Voices of Cleveland, Poems-For-All, Haiku World: An International Poetry Almanac and The Magnetic Poetry® Book of Poetry. Her poetry has also appeared in numerous galleries and projects, including Cleveland Heights Arts Gallery's "Ekphrastacy," the Wick Poetry Center's Speak Peace-American Voices Respond to Vietnamese Children's Paintings, Amy Mothersbaugh's Studio 2091, & S. A. Griffin's cross-country project The Poetry Bomb. A copy of her haiku chapbook Blue Graffiti (Crisis Chronicles Press, 2011) is in the Decatur Haiku Collection at Millikin University. In 2016, Crisis Chronicles Press published her first full-length collection of poetry, Age of Aquarius, and in January, 2019, Stubborn Mule Press published her second full-length collection, Raga for What Comes Next, which will be released 1/24/19 at Speak of the Devil in Lorain, Ohio. Actor Jonathan Frid (Barnabas on television's Dark Shadows) used three of her poems in his one-man touring show Genesis of Evil. Her poem "Let's Get It On" (from her chapbook Thunderclap Amen) was nominated for a Pushcart Prize. In 2013 and again in 2014, she won first place in the Best Cleveland Poem Competition. She participated in the Cleveland City Club's/Guide to Kulchur Race Anthology project, and serves annually as a juror in the Cleveland Institute of Art's Scholastic Writing Awards. In Summer 2015, her poem "Disco" was selected by the Youngstown Summer Festival of the Arts to appear on its reusable tote bags, and Lit Youngstown printed the poem on their tee shirts, which makes her feel like a rock star. She believes in the musicality of language and the originality of expression in poetry, and continues to seek publication in journals, magazines, chapbooks, and anthologies. She is willing to travel for readings, to present workshops pertaining to small press publishing, and to participate with her press at independent literary festivals. Contact Dianne at dborsenik@gmail.com. Dianne Borsenik was born Dianne Lynn Keith on February 2 (yes, Groundhog's Day), 1955 in Oberlin, Ohio. She is the Zodiac sign Aquarius and the Chinese Zodiac sign the Sheep. In 1959 her parents moved to Elyria, Ohio, about 30 minutes west of Cleveland, along with daughters Dianne and her younger sister. Dianne grew up roaming Cascade Park: a jewel of green trees, Black River, and East and West Falls in the heart of Elyria, and bookstores, wherever she could find them. In 1977 she met James Borsenik, and in 1979, married him. Their honeymoon was made especially exciting by Hurricane David hitting Florida while their car was sitting disabled in a Kissimmee parking lot. She kept her maiden name and added (unhyphenated) Borsenik. People the world over know her by the initials DLKB. 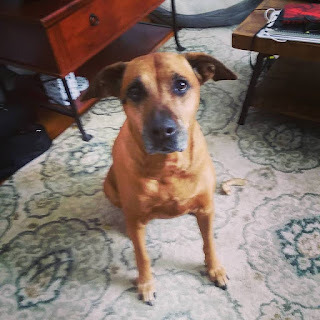 James & Dianne have been blessed with several dog-childen over the years: Nickolas Wonder, Bahloo, & Dory Kiss Me Quick; today, Bodhisattva and Michel-Angelo share hearts and home. Favorite Dianne things include Toronto, the Black Hills, Led Zeppelin (emphasis on Robert Plant), steak, lobster, shrimp cocktail, asparagus, Star Trek (emphasis on Leonard Nimoy/Spock), the Monkees (emphasis on Peter Tork), apocalyptic and disaster movies, the Weather Channel, the English Royals, reading (especially biographies, nonfiction), carnations, honeysuckle, bats (the flapping, toothy kind; bats are her totem animal), rap music (Snooooooop), riding in a convertible yeah, we're rolling with the top down, strong coffee, sweet tea, spicy Bloody Marys, the internet, getting her hands dirty growing herbs and flowers, floating in the pool, Tennessee Williams, travel, thunderstorms, Glenn Miller, Frank Sinatra, Nine Inch Nails-the Closer album, Andrea Bocelli, Devo, and of course, poetry. Donations in any amount are gratefully accepted, and will be used to further the poetry cause via NightBallet Press and/or BeatStreetCleveland. All content © Dianne Borsenik, 2015. Picture Window theme. Powered by Blogger.